The Buyer: Mr. Jason Andrews came to the DVS Group looking for a growth-based company within the Kansas City area. 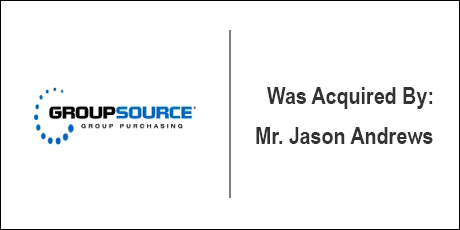 His extensive experience in sales, marketing and leadership within the healthcare space made him the ideal buyer for GroupSource. The Seller: GroupSource (http://groupsourceinc.com/) began in Kansas in 1996 and has since expanded to all 50 states. Its customers are both large and small and come from all business industries including healthcare, accounting, legal, construction, higher education and banking. The company provides turnkey cost management services. The Close: The DVS Group sourced the acquisition opportunity through their proprietary outreach program. The sellers had been contemplating a sale when approached. DVS then assisted in the negotiations of a fair and equitable transaction in addition to helping formulate a transition plan for Mr. Andrews and the GroupSource sellers.